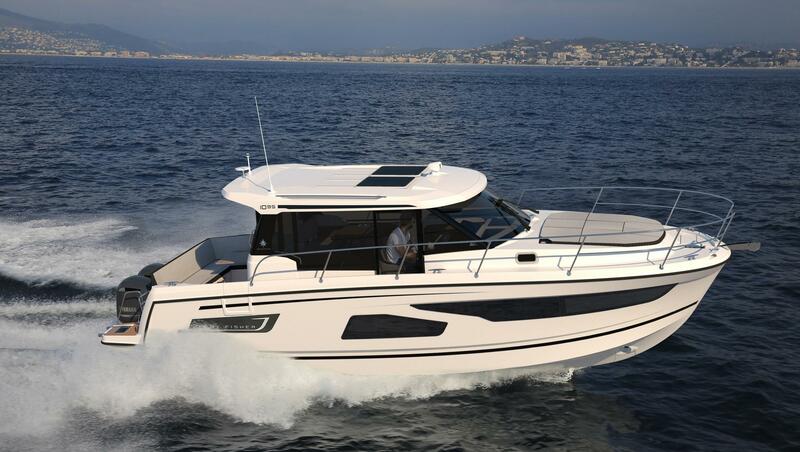 NEW FOR 2019 The new Merry Fisher 1095 is a weekender and an ideal cruising boat for family outings, benefiting from an incredible volume of living space on board! On the exterior, every detail has been carefully considered for safety, comfort and relaxation. 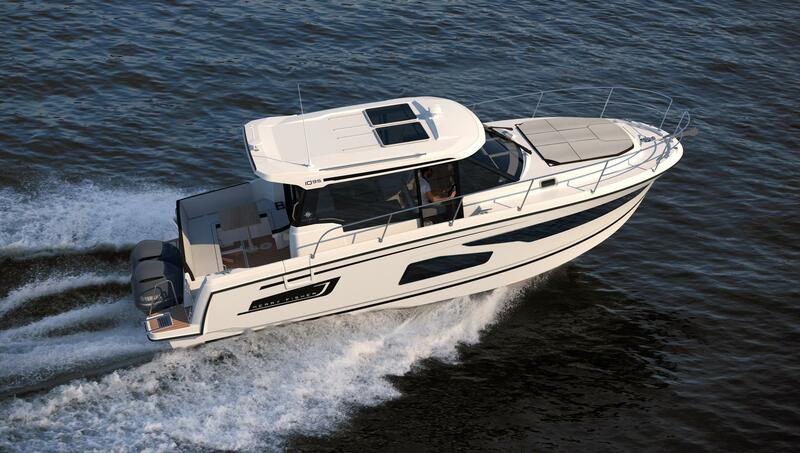 A sliding side door, recessed sidedeck and side access gate facilitate movement and access aboard.